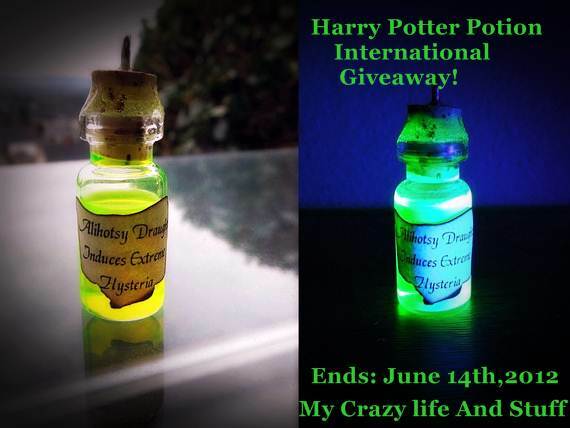 My Crazy Life And Stuff: Harry Potter Potion Necklace Giveaway! oh yes this shop contains all kind of lovely potions that you would like to have! My name is Kyra-lin, and I am your local Potion Master. I encourage you to explore my stock, but please keep your tongues waggle free as several of my ingredients would have the Ministry of Magic down on my head if they knew. 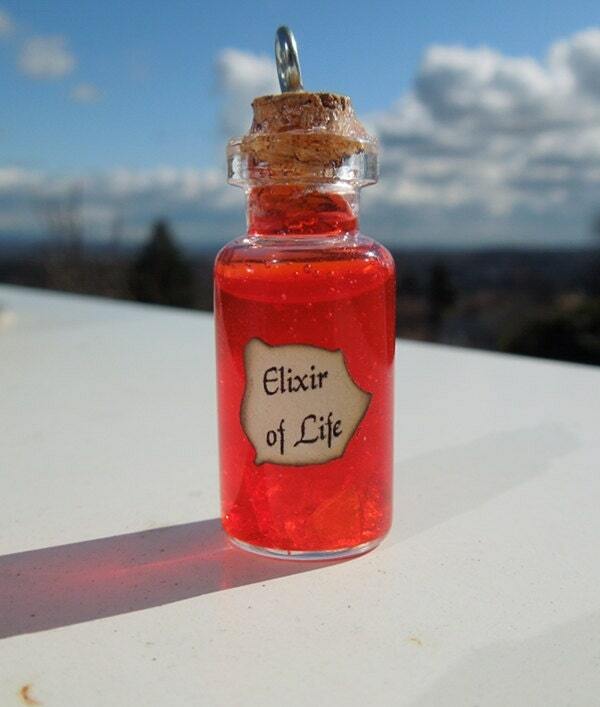 All of my potions are pure, undiluted results of my own creation. I challenge you to find a finer grain of Powdered Unicorn Horn, a more persuasive vial of Veritaserum or a richer strain of Felix Felicis. Find my supplies lacking in exactly what you desire? Then let us move into the back and see if I can’t create something just for you. Watch your step. Kneazles are underfoot. so in this shop you'll not only find potions but jewelry and wine charms and other stuff too..
here's what i found the most irresistible things that i couldn't help sharing them with you! 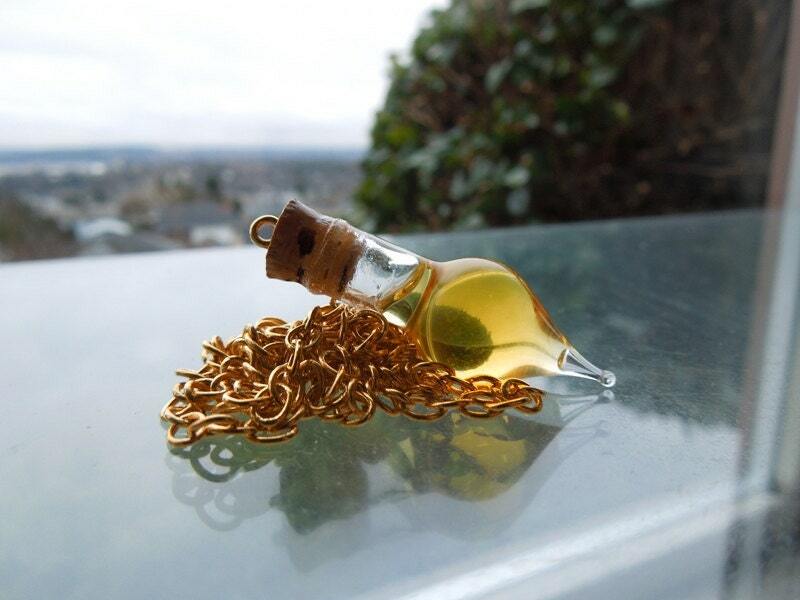 Standing at just 4 cm tall, this charm contains one dose of this very complex potion. 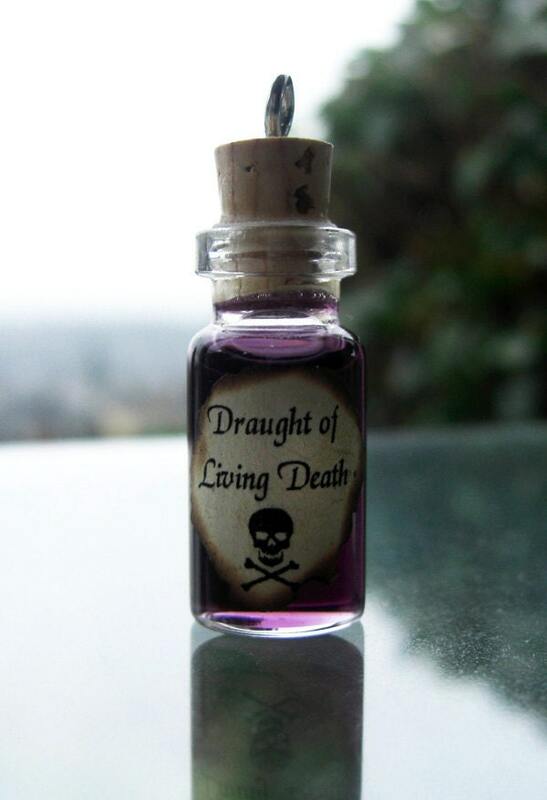 Without the antidote, anyone drugged with this potion will suffer an unending sleep, unable to wake and unable to die. * Need to keep a special someone around for a continuing supply of polyjuice potion or anything else? Look no further. You have found your method. okay this one is what i love the most! Where Lord Voldemort failed, you may now succeed. Regular doses like this one in its 4cm tall glass vial are your ticket to the fountain of youth*. This finished potion is brilliantly red and comes complete with several real crystal shards - pieces of the Philosopher's Stone to guarantee the potion's potency and extended shelf life just in case you needed some extra decision time before taking your plunge into immortality. Let's see what has she what is up for grab! This is a complex and rare poison made from the Alihotsy Plant. Just inhaling its fumes is enough to drive a person into extreme hysteria so please use the utmost caution when handling this potion. * These symptoms can only be reversed by the consumption of a powerful antidote. Because of its high toxicity only potion masters of Professor Snape's quality should even attempt to brew it. In this 4cm tall charm, I have provided a sealed sample of my personally brewed Alihotsy Draught. Any larger supplies are kept hidden under lock and key in the back of my shop at all times. 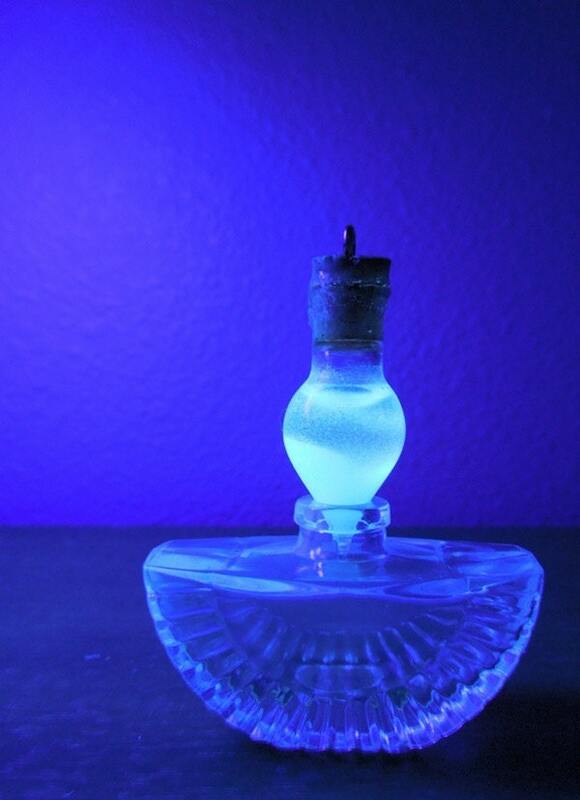 This bright concoction is so potent that, even sealed, it will glow eerily under blacklight. The 'ring' around the top of the liquid glows neon green at all times. checkout the widget below for giveaway! i love all the items on the shop ^_^ but my fav is the " Harry Potter Potion Earrings - Silver Plated "
Polyjuice Potion maybe..I love green..
love the potion Felix felicis!!! The phoenix tears are my favorite. I love Fawkes. 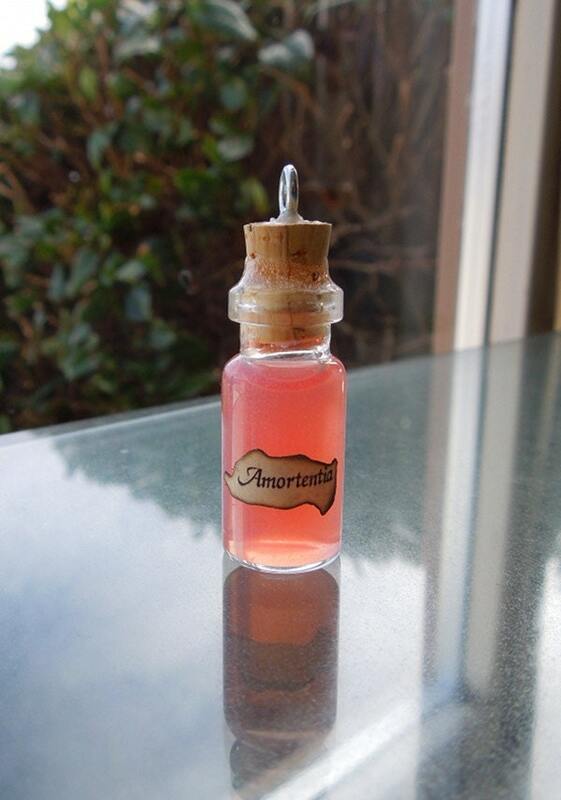 I love the Vial of Veritaserum (Truth Potion)! I am actually having to ask my hubby to be a deciding vote. My top two are Pheonix tears, I LOVE the way it looks after resting. Thestal Hoof- no clue what you have it there but it looks awesome. Oh and Wolfsbane... again - no clue how in the world it was made, but it just looks brilliant! I like the Wizard Pure Blood! Phoenix Tears is so beautiful! My favorite is the Felix Felicis. Lovely magical bottle! I love the Glowing Pensieve Memories potion! AWESOME!! If I ever had that,i Would be bragging it away with my friends. I love the gillyweed charm! I like the Steampunk Charm Necklace Deluxe! my fave is the glowing wolfsbane potion!!! !